OCTOBER 24, 2017 – 7:00 P.M.
1. Meeting opened by Mayor Dana E. Outlaw. Prayer Coordinated by Alderman White. Pledge of Allegiance. Randy’s note: Bernard White, who lost his reelection bid, began closing out his term by having his wife of 47 years deliver the opening prayer. Because wives should always have the last word. Randy’s note: All present, if by all present you mean that aldermen Victor Taylor and Jeffrey Odham were not present. Odham and City Manager Mark Stephens were at a city manager convention. Not sure where Taylor was at. 3. Consider Approving a Proclamation for Craven County Veterans. 4. Consider Adopting a Resolution Closing Streets for Berry Merry Christmas. Minutes from the October 17, 2017 regular meeting are provided for review and approval. 6. Presentation of Accessible Pedestrian Signs. 7. Consider Adopting a Resolution Approving a Memorandum of Understanding for the FY2017 Edward Byrne Memorial Justice Assistance Grant. Randy’s note: Info about Edward Byrne, a New York City policeman killed in the line of duty when he was just 22, and the memorial grant established in his name. The grant money will be used to buy free weights. Last time I was at a sporting goods store, weights sold for a dollar a pound, so assuming that’s correct, and that’s a big, heavy assumption, they plan to buy more than 11,000 pounds of weights. 8. Consider Adopting a Resolution Approving a Contract with Tyler Technologies, Inc. for a Financial Software System. 9. Consider Adopting a Budget Ordinance to Establish the ERP Project Fund. 10. Consider Adopting a Resolution Approving a Declaration of Intent to Reimburse for the ERP Project. 11. 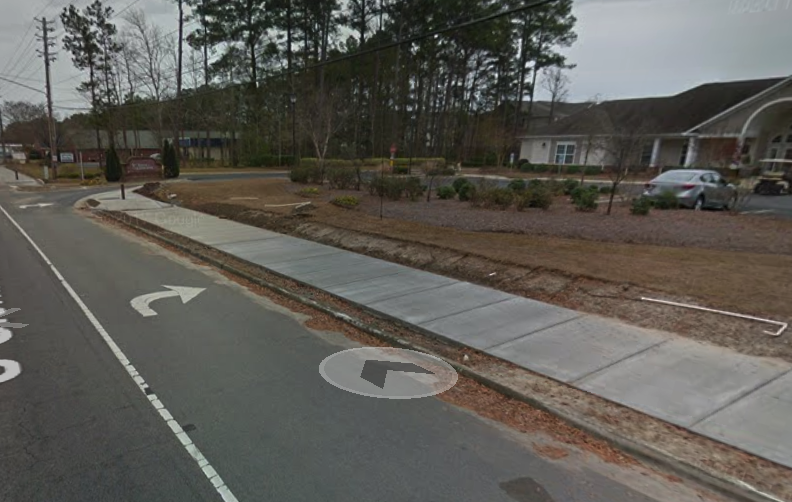 Consider Adopting an Ordinance Amendment for the Neuse Boulevard Phase II Sidewalk Project Fund. Randy’s note: In short, the project is completed and the Board of Aldermen needs to give its final blessing. 12. Consider Adopting an Ordinance Amendment for the Glenburnie Multi-Use Path Project Fund. Randy’s note: This is that project that added extra-wide, multi-use sidewalks along Glenburnie suitable for pedestrians, bicycles, and space shuttle landings should they be necessary. 13. Consider Adopting a Budget Ordinance Amendment for the FY2017-18 General Fund Operating Budget. Chief Summers is at a conference & I (city public relations director Colleen Roberts) wanted to make sure to touch base with him about the New Bern Police Department budget and your inquiry. He has responded that the money will be used for special investigative purposes. That is all the detail that can be provided.